Standing with your feet shoulder width apart, squat down by sinking your weight into your hips and bending your trunk forwards. Keep your back flat and repeat for 2×20. Skip down and back, focusing on driving your body up to get the maximum height possible. Repeat for 2×10. Standing on one leg, lift up onto your toe and control the descent. Repeat for 2×15 on each leg. 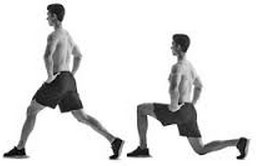 Starting with your legs spread front and back, drop straight down into lunge. Then push up and come straight up. Repeat for 2×15 on each side. Starting with your legs slightly wider than shoulder width, squat down towards one leg so that your weight is on one leg. 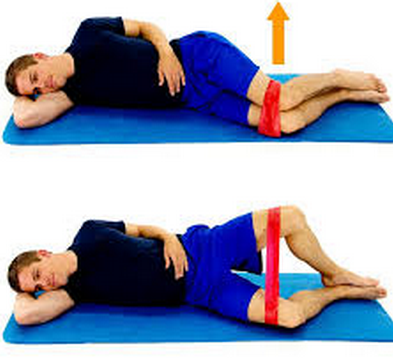 Keep your knee and hip in a straight line and your back flat. Alternate sides for 2×15. Starting on your side with your hips, knees, and ankles stacked. 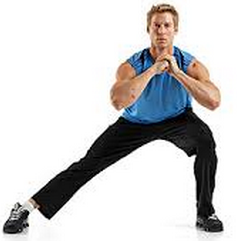 Lift the top knee up without letting your back/hips roll backwards. Repeat 2×15 on each side.